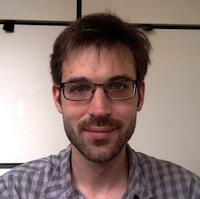 Philipp DEMGENSKI is a post-doctoral researcher at the Institut interdisciplinaire d’anthropologie du contemporain (IIAC) at the École des hautes études en sciences sociales (EHESS). He works on the China branch of the UNESCO friction : Heritage-making across global governance project (http://frictions.hypotheses.org/presentation), looking at intangible cultural heritage politics in China. He previously worked as an Adjunct Assistant Professor at the Anthropology Department of the Chinese University of Hong Kong, where he also completed his PhD in anthropology. His PhD research focused on inner city redevelopment, urban heritage and governance in China, specifically how the (historical) meaning, current usage and future appearance of an old urban neighbourhood is negotiated between different interest groups. Earlier, he conducted research on the 2008 Beijing Olympics. He also worked as an intern for the Culture section of UNESCO Beijing. Research interests : Chinese Culture and Society, Urban China, Heritage Politics in China, UNESCO, Intangible Cultural Heritage, Global Governance, Power and Politics, Urban Anthropology, Space and Place, Colonial History. 2017. “Dabaodao : The Planning, Development, and Transformation of a Chinese (German) Neighbourhood.” Planning Perspectives. 2016. Co-ed. and Co-trans. 阿尔弗莱德 希姆森回忆录：青岛里院建筑形态开创者 (Orig. “Kolonialpionier Alfred Siemssen : Memoiren aus Fernost”). Qingdao : Qingdao Publishing House. 2016. ‘Urban Renewal in Qingdao : Creating Scenic Neighbourhoods, but for Whom ?’ China Policy Institute : Analysis. August 10. https://cpianalysis.org/2016/08/10/urban-renewal-in-qingdao-creating-scenic-neighbourhoods-but-for-whom/. 2015. Review of Goodman, David S.G. Class in Contemporary China. Cambridge ; Malden, MA : Polity Press. 2014. Asian Anthropology 14 (2). 2015. “Liyuan Houses and a Diminishing Neighbourhood in the Chinese Coastal Metropolis of Qingdao” in Anthropologists on the Road, edited by Cheung, Sidney C.H. and Luo Jiting, pp. 71-83 Hong Kong : HK Discovery Limited. 2014. “Making and Taming ‘Messy Space’ : The Contested Nature of Historical Space in Urban China” in Imagining Spaces and Places, edited by Isomaa, Saija, Pirjo Lyytikäinen, Kirsi Saarikangas, Renja Suominen-Kokkonen, pp. 107-122. Newcastle upon Tyne, UK : Cambridge Scholars Publishing. 2013 : 《在黄岛路做田野调查》(Doing Fieldwork on Huangdaolu) 良友书坊报刊 (Journal of Liangyou Shufang) No. 6 : March 2013. p. 9. "What did Confucius eat ? China’s struggle with culinary heritage." Paper presented at the American Folklore Society Annual Meeting. Minneapolis, USA. October 2017. “Fossilisation, Commercialisation or Participation ? Exhibiting Intangible Cultural Heritage in China.” In Mandarin. Paper presented at Museum Collection, Exhibition and Interpretation : in Anthropological Perspective (“人类学视野下的博物馆收藏展示与诠释”) Chinese National Museum of Ethnology, Beijing, China. August 2017. “城市空间的转型困境：青岛就成改造与保护问题” (Trapped in Transformation : Qingdao’s Old Town Redevelopment and Preservation). In Mandarin. Talk at 72nd Anthropology Saloon, Research Center for Socio-Cultural Anthropology, Chinese Academy of Social Sciences. June 2017. Museology, Fudan University, Shanghai, China. April 2017. “When the Vernacular Becomes Monumental : Reflections on Preservation in Contemporary Urban China.” Paper presented at the International Conference on Inheriting the City : Advancing Understandings of Urban Heritage, Chiang Kai-shek Memorial Hall, Taipei, Taiwan. March 2016. “Trapped in Transformation : Negotiating Inner City Redevelopment in a Chinese Coastal City.” Paper Presented at Friday Seminar Series, Anthropology Department, The Chinese University of Hong Kong, March 2015. “Living in the ‘Past’ : Local residents and the debate over ‘real’ history in the inner-city neighbourhood of a Chinese metropolis.” Paper presented at the Annual Conference of the Commission on Urban Anthropology, St. Etienne, France, July 2014. 《逐渐消失的城市空间 :从人类学和历史的角度看青岛里院的西鞥成和近况》(“A Slowly Disappearing Urban Space : The formation and current situation of Qingdao’s Liyuan Houses from an anthropological and historical perspective”). In Mandarin. Public talk at the School of International Languages, Ocean University of China, Qingdao, December 2013. 《人类学是什么？》(“What is Anthropology ?”). In Mandarin. Public talk at Fanhua Bookstore, Qingdao, China, March 2013. “Contested Timber : The Politics of Tree Planting in Qingdao.” Paper presented at the International Conference on Spatial and Social Transformation in Urban China, Hong Kong Baptist University, December 2012. “Spaces of Qingdao : Negotiating History and Modernity in Urban China.” Paper presented at the International Interdisciplinary Conference on Imagining Spaces/Places, University of Helsinki, Finland, August 2011.